AN ECONOMICAL WAY TO TREAT HARD WATER. Looking for hard water solutions? Poly Guard System provides hard water solutions for defending against scale and corrosion. 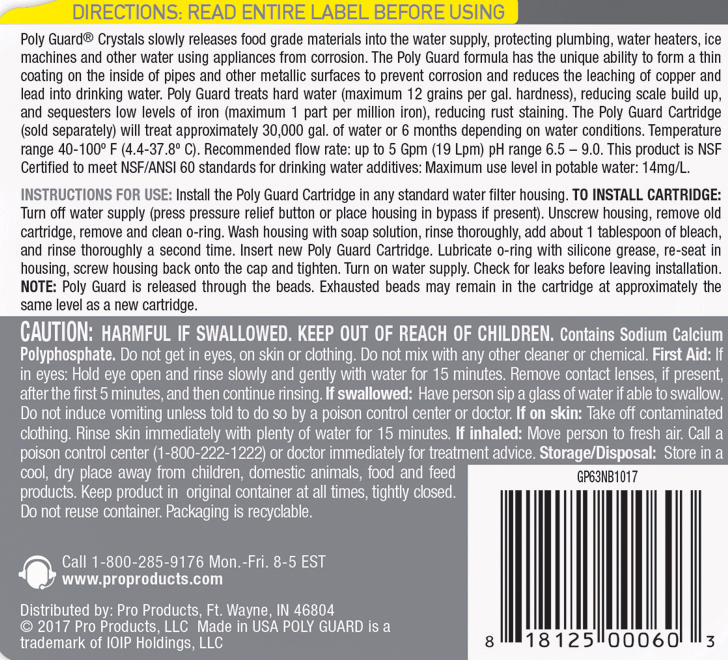 The hard water solutions of each Poly Guard System contains one refillable cartridge that contains 24 oz of extended release crystals that will treat 30,000 gallons of water or up to 6 months. The system also includes a clear 10″ filter housing with a pressure release button, housing wrench, a filter replacement reminder sticker. 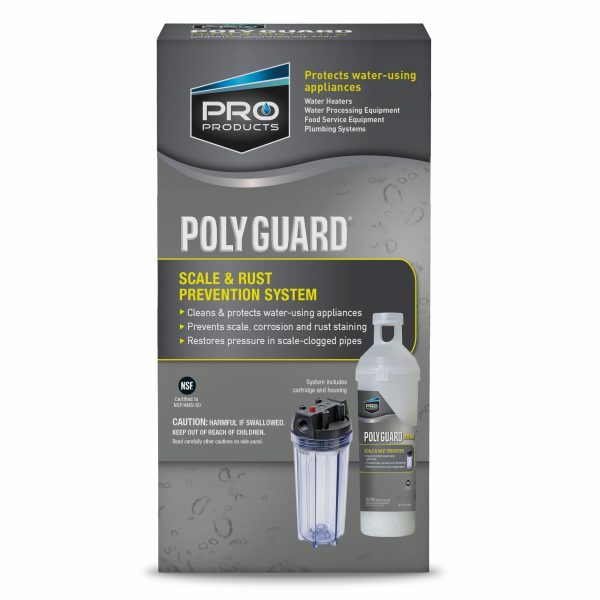 For your hard water solutions, Poly Guard Crystals prevent hard water scale, corrosion and iron build-up in water systems, equipment and appliances by forming a protective coating on metal and plastic surfaces. This product is NSF Certified to meet ASF/ANSI Standard 60 for drinking water additives. Corrosion Control: For hard water solutions, Poly Guard is typically administered through the Poly Guard Cartridge. The cartridge fits 10″ standard whole house filter housings. The cartridge will hold 1.5 pounds of crystal and treat up to 30,000 gallons of water. These crystals will not dissolve completely and should be replaced in 30,000 gallon intervals or every 6 months to ensure product efficacy.